Located in Andalucia in southern Spain between Sevilla and Malaga, the Grazalema National Park is a stunning location for a self-guided walking holiday with spectacular limestone and dolomite crags that rise dramatically above beautiful gorges, the most spectacular being the Garganta Verde, 'Green Throat'. Grazalema was the first Spanish National Park to be designated in Andalucia, following its recognition as a Biosphere Reserve by UNESCO. Sierra de Grazalema has an exceptionally rich wildlife with Europe's largest population of Griffon Vultures. In addition mammals include roe deer, Egyptian mongoose and Spanish ibex. Grazalema has a seasonal wet season which helps create an oasis of green among the Andalucian landscapes with an extraordinary array of plant life and a recorded 1300 species. 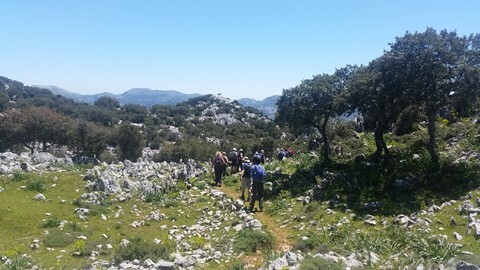 As well as the rich wildlife and stunning countryside, Grazalema and the surrounding area is home to some beautiful small white villages with some great accommodation, which we link together on our self-guided walking holiday. 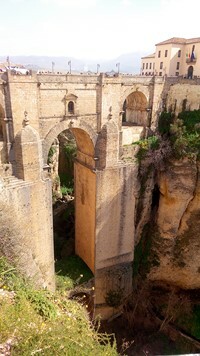 On the final full day of your walking trip you'll arrive in Ronda, a spectacular town built on the edge of huge cliffs with its old and new towns connected by an immense bridge. On this independent walking holiday you will have a mixture of day walks from your hotel and walks between locations. On 3 of the 5 walking days you'll have the choice of walks meaning you can adapt the length of your trails. This self-guided or independent walking holiday in Andalucia is made up of 5 walking days; 2 days walking between locations and 3 days with circular walks. The walks vary between 10 and 20km in length and between 100m and 700m of ascent in the day. There is a large choice of walks on the centre-based walking days meaning that the overall grade can vary according to your choices. You can also choose to have a rest day among those days. The two walking days which go between hotels are among some of the more difficult walks with one day involving 20km distance and 700m of climbing. Some sections of the trail are rough and stony in places. Arrive at Benaojan or transfer from Malaga to Hotel, Molino Cuatro Paradas. Your base for the next 2 nights. 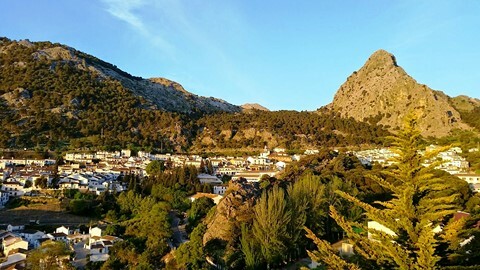 A classic walk from your hotel descending to the village of Benaojan and then to the valley floor where you pick up a lovely path that will take you along the side of the railway to the sleepy village of Jimera de Libar. You can have a lovely meal at the Quercus restaurant before either catching the train back or retracing your steps and making the walk longer. Walking from Benaojan up a wonderful limestone crag before walking down the long valley of Libar following the GR7 long distance path. You walk along the valley floor with sheer limestone cliffs rising on either side before heading over another limestone ridge and then on to Villaluenga. Another walk from hotel to hotel. Walking from Villaluenga up to the plateau just below Simancon peak. 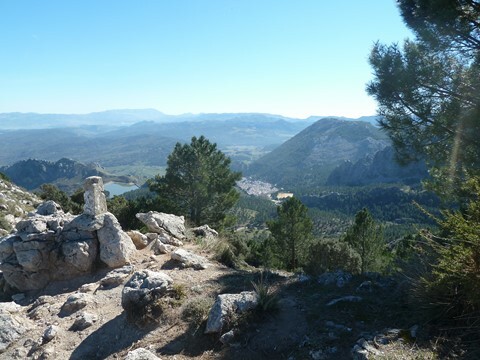 This walk is beautiful and varied taking in some great views and fantastic wildlife in the heart of the Grazalema National Park. 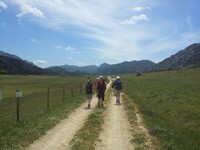 A beautiful walk with fabulous views of the whole of Grazalema National Park. Walking past the Poso's (ancient fridges) and another great raptor watching day. Check out of your hotel and transfer to hotel Molino Cuatro Paradas (09.30hrs) to retrieve your car (only if arrived by car) and then onto the spectacular town of Ronda (transfer 30 mins). Check into the Hotel San Gabriel, in the old town of Ronda. 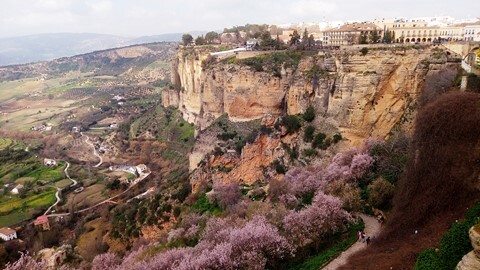 Explore one of the most spectacular and interesting towns in Spain sat on the edge of a cliff with a monumental bridge spanning the gorge separating the old and new towns. A variety of charming independent and friendly 2, 3 and 4 star hotels or equivalent. A mixture of styles mostly in traditional Andalusian properties. Three evening meals are included in the holiday price. Lunches are not included in the cost of the holiday and can be bought from the services in the local villages. La Mejorana, Grazalema Hotel A delightful small hotel with exceptional views and character in the village of Grazalema. You will be well looked after by Andres and Ana.